Marval Developments works with London’s best designers and architects to elevate your space to the next level. From Berkley Square to the burbs of Brockley. We have designed and built lovely spaces to live in. Whether you are a retailer looking for a reliable, timely fit out or an ambitious new company looking to put your stamp on your new workplace, we can help you. Carpentry, design or building. We can do special things for your needs. Designed by the architects Gruff Ltd, this Dulwich house was given a generous, contemporary extension for the growing family to expand into. 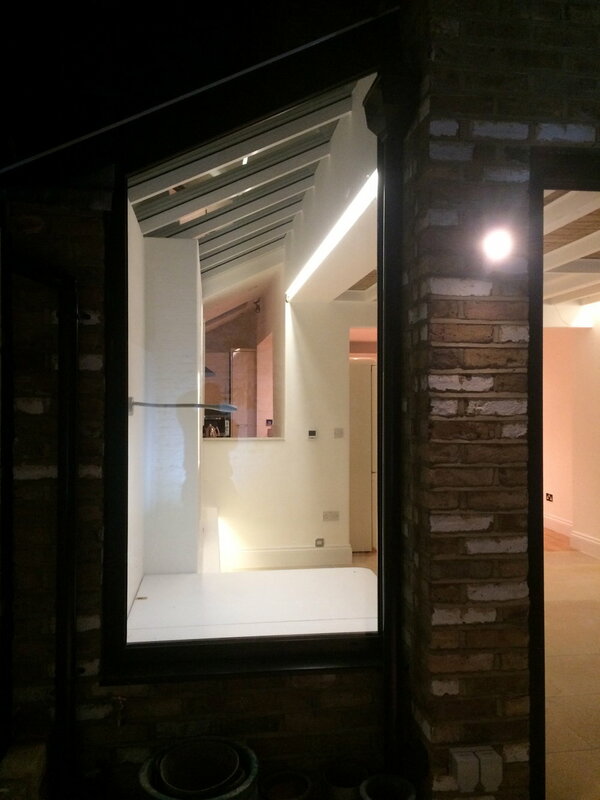 The clever, cantilevered bay allows for a more functional use of space over the statement window while the bespoke carpentry in the corridor provides integrated storage and seating. Clad in anthracite, grey panels, the sleek exterior blends with the original Victorian building whilst remaining discreet. 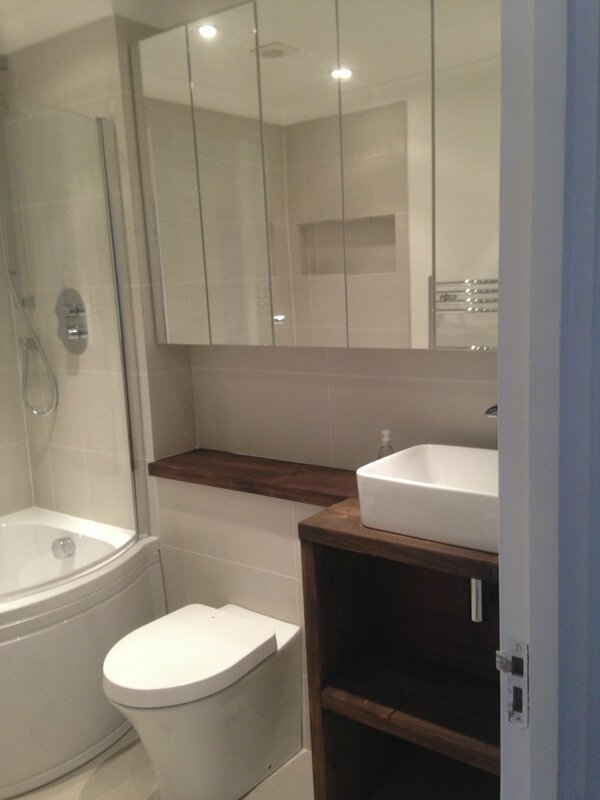 Our client, an interior designer, benefitted from an outstanding location, but little space. We therefore re-configured the internal rooms to create a third bedroom, by moving the kitchen into the study. We refurbished the rest of the flat at the same time, creating an innovative breakfast bar from reclaimed oak and built in wardrobes in the bedrooms. This was all achieved whilst keeping the original features in this listed building. 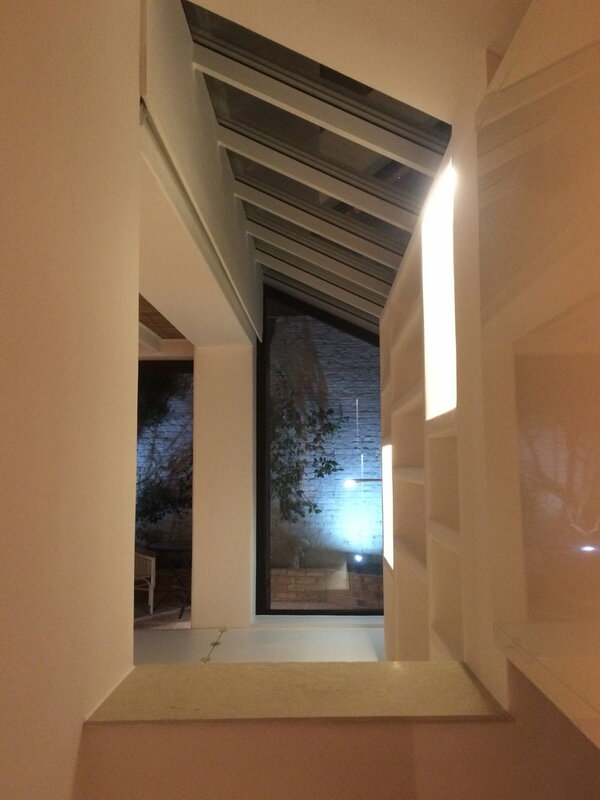 This house needed space and light breathed into it. By removing the wall between the kitchen and living room and then offsetting the kitchen units into the large hallway the ground floor was given the feeling of space it needed. Upstairs the ensuite was transformed into a wet room with a new window into the bedroom which allowed light through but obscured glass below head height still gave privacy. A heated mirror was used in place of a tile to allow the customer to shave in the shower without a foggy mirror! In this property we were briefed to bring the 'sunshine' to Brixton. The bathroom was based on a classic Moroccan theme and the small extension was given a Greecian feel with its exposed painted beams and plastered shelving units. Modern building techniques were used to bring light in to the space with bi-fold doors, flush roof light and patent glazing, which was cleverly offset with a rattan ceiling given the whole extension an exotic feel. A window seat was created to give the customer an area to read in, which also folded out as a bed to give the one flat more flexibility.